The No. 20 Case Western Reserve University men’s tennis team had a dominant win at home this weekend, sweeping Franciscan University of Steubenville at the Medical Mutual Tennis Pavilion. This was the Spartans’ third sweep of the season, improving the team’s overall record to 10-8. Because Franciscan sported a smaller team, CWRU only had its most experienced players on the court. 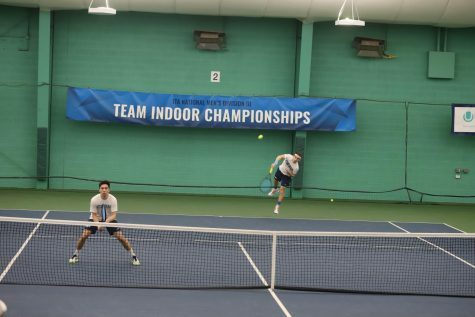 The match kicked off with the doubles setting a strong tone for the series, with fourth-year player James Fojtasek and second-year player Anthony Kanam winning their match 8-5. Second-year players Sam Concannon and Zach Hennessey picked up an 8-2 win, while Stroup and second-year player Siddharth Rajupet followed suit with an 8-2 win. In single matches, four Spartans managed to win perfect 6-0, 6-0 games, spreading the “love” on the court. Fojtasek beat second-year player Jake Haffner at first singles, Kanam defeated fourth-year player Jarek Sulak at second singles, Stroup bested fourth-year player Connor Jooste at fourth singles while Hennessey topped second-year player Jack Galla at sixth singles. 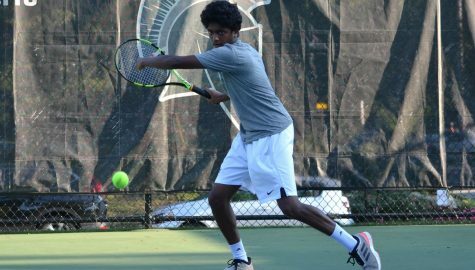 Concannon took a 6-1, 6-4 win at third singles, while Rajupet nearly joined the club with a 6-0, 6-1 victory at fifth singles. “Sam [Concannon] dropped a game in the first set, and [barely pulled through] a tough second set, so Coach [jokingly] chewed him out,” Stroup said. The Spartans will head to Kalamazoo, Michigan to take on the University of Wisconsin-Eau Claire and Rose-Hulman Institute of Technology on April 14 and the host school No. 31 Kalamazoo College on April 15. David Chang is a second-year nutritional biochemistry major. In his spare time, he enjoys listening to sad Chinese ballads while wearing pink Crocs.